After all the anticipation, delays, and a whole lot of controversy, Far Cry 5 will arrive on the PC in just over 2 months’ time. Ahead of the March 27th launch date (all formats), Ubisoft has announced the requirements for the game. Rather than just giving the minimum and recommended specs, the company has revealed what it will take to run it in 4K at both 30 and 60 frames per second. The baseline hardware demands are quite low, providing you're willing to run the game at 720p with the video settings dropped to their minimums. All it takes is an Intel i5-2400 or AMD FX-6300 alongside an Nvidia GTX 670 or AMD R9 270 and 8 GB of RAM. For most gamers, it’s the 1080p/high settings/60 fps recommendations that are most important. The specs for this tier are actually pretty reasonable, especially for a game that looks as good as Far Cry 5: a Core i7-4770 @ 3.4 GHz or AMD Ryzen 5 1600 @ 3.2 GHz or equivalent, GTX 970 or AMD R9 290X, and 8GB of RAM. Skipping any 1440p requirements, Ubisoft has announced a 4K at 30fps configuration at high video presents. This asks for a Core i7-6700 @ 3.4 GHz or AMD Ryzen 5 1600X @ 3.6 GHz or equivalent, GTX 1070 or AMD RX Vega 56, and 16GB of RAM. 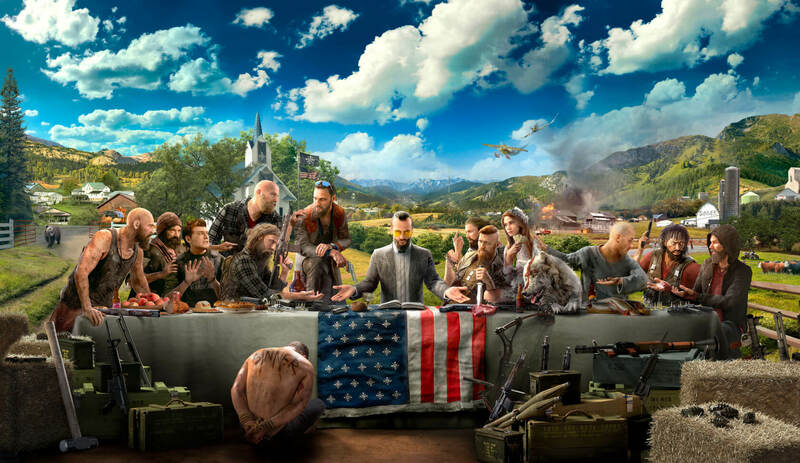 If you’ve got a killer rig and want to enjoy Far Cry 5 in 4K at 60 fps and with the video settings cranked up to ultra, you’ll need a Core i7-6700K @ 4.0 GHz or AMD Ryzen 7 1700X @ 3.4 GHz or equivalent, GTX 1080 SLI or RX Vega 56 CFX, and 16GB of RAM. The PC version of the game comes with a benchmarking tool that includes a meter showing how much video memory is being used by your configuration. Ubisoft says multi-GPU settings will “significantly improve performance,” and there are a host of other options, including variant aspect ratios, resolution scaling, and field-of-view settings.